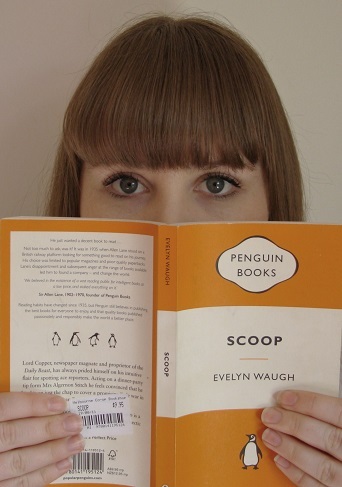 ‘Scoop: A Novel About Journalists’ – Evelyn Waugh 1938. This statement positions Waugh as the antithesis of writers such as Émile Zola who writing is deeply interested in exploring the psychological elements of character, especially in his book I have mentioned previously, Thérèse Raquin. Though I have enjoyed both in their own way, there really is nothing more enjoyable than excellent prose (I think anyway). But now back to Scoop. It is a great little novel, with a plot based on awkward situations, misunderstandings, miscommunications and social gaffes. The plot revolves around a case of mistaken identity, where a reclusive nature write is mistaken for an up and coming journalist with the same surname. He is sent (reluctantly) to Africa to cover a civil war as it unfolds. There were many genuinely hilarious moments which made me laugh out loud, though when trying to explain them I cannot recreate the humour, so deeply based is it in the way Waugh uses language. My one disclaimer in recommending this book is that it is a reflection of its time, and in quite frequently (and I suspect unintentionally) racist. If you can take the book for what it is (a satire of foreign correspondence and the British press) then I think it can be thoroughly enjoyed. Once again my studies certainly influenced my enjoyment of this book, the subtitle is “A novel about journalists” and much of the comedy is based around the lies and ridiculous lengths journalists will go to in order to create a story. As I am currently researching media representations of war, this was, entirely coincidentally, the perfect novel for me to read. Little piece of trivia for you, Evelyn Waugh and I were born on the same date, 28th of October. ‘Cakes and Ale’ – William Somerset Maugham 1930.